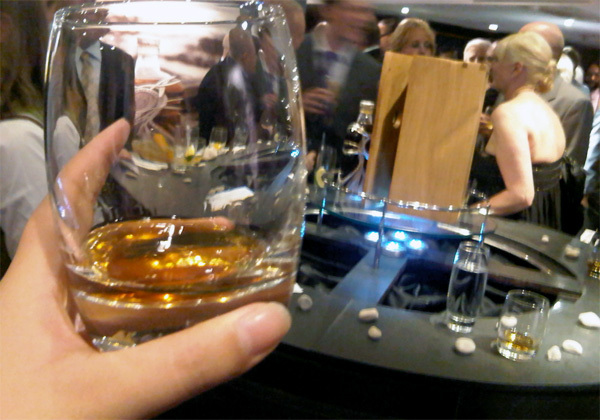 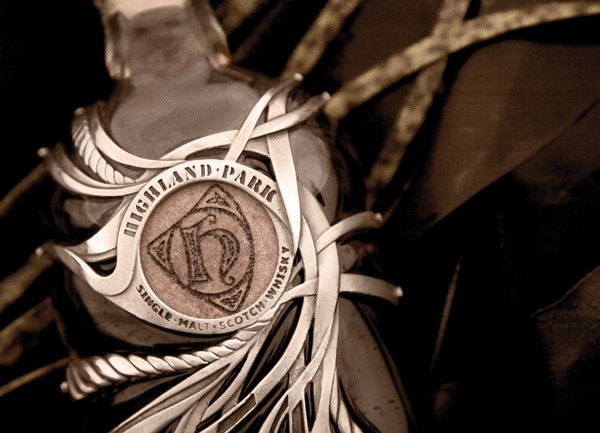 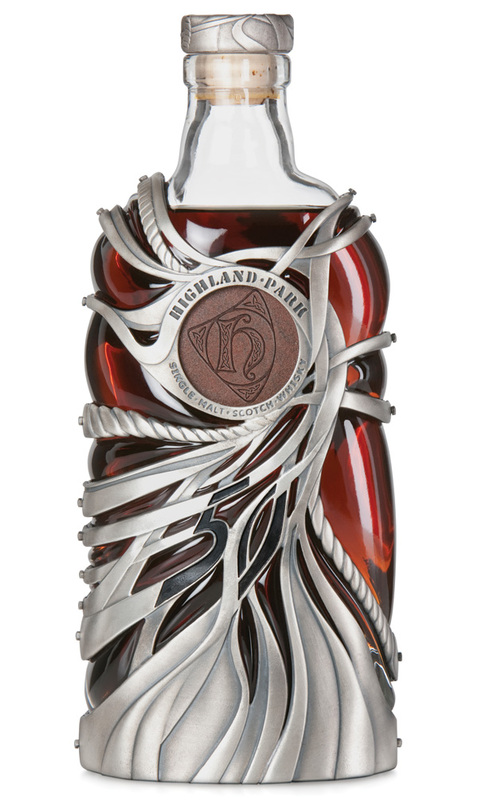 While in London last week, popped by the Highland Park 50 year old launch event at Harrods ~ and the bottle is stunning! 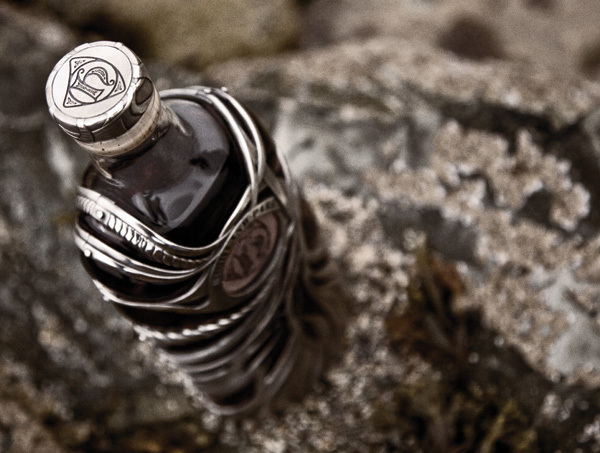 There’s just something so unmistakeably beautiful about the way the sterling silver “squeezes” the glass, making it bulge ever so slightly. 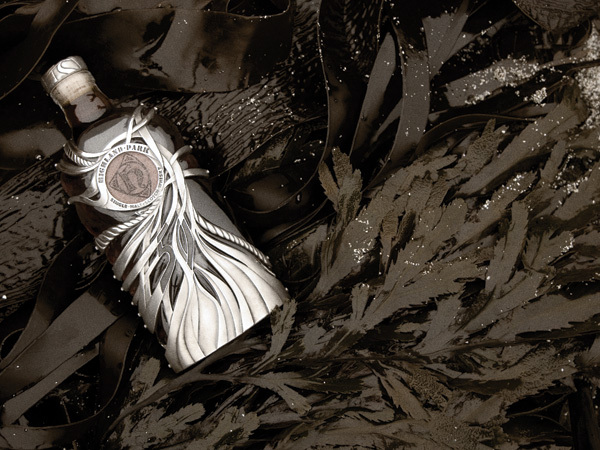 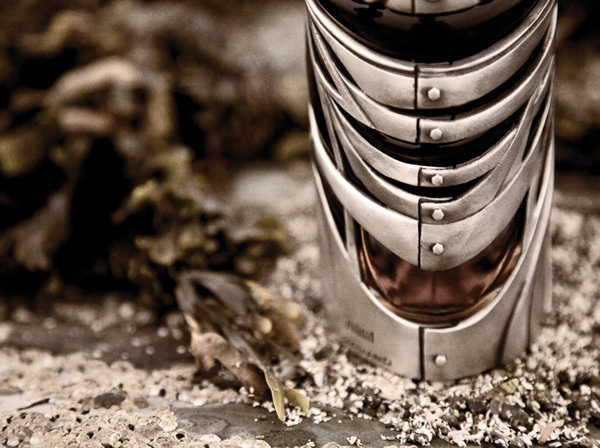 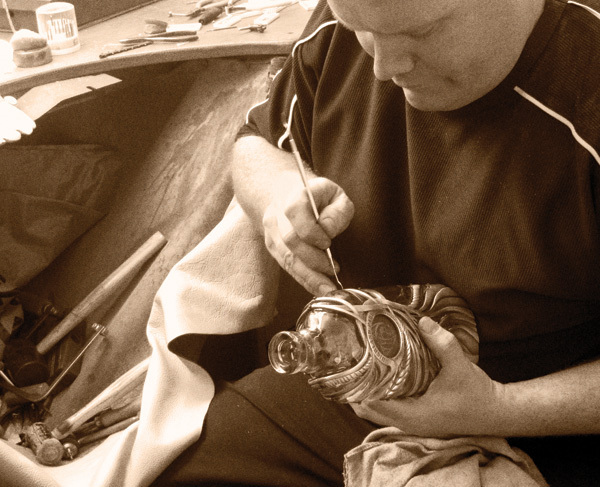 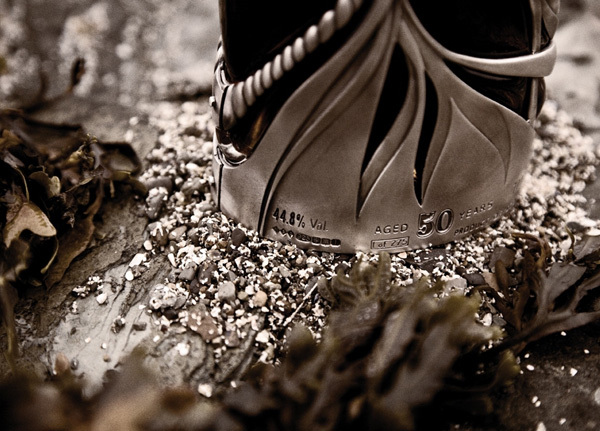 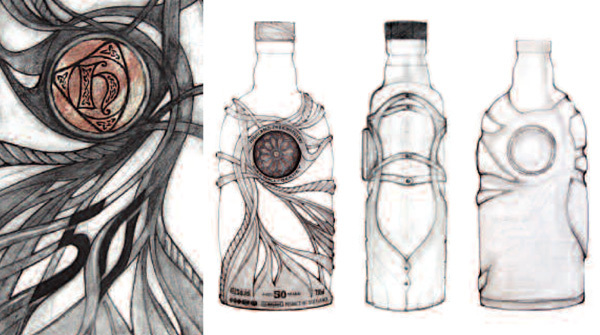 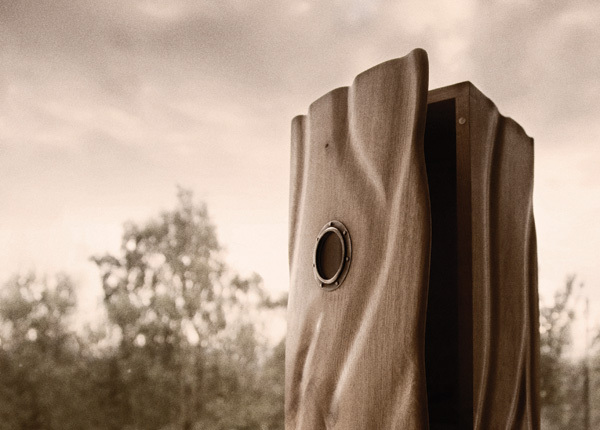 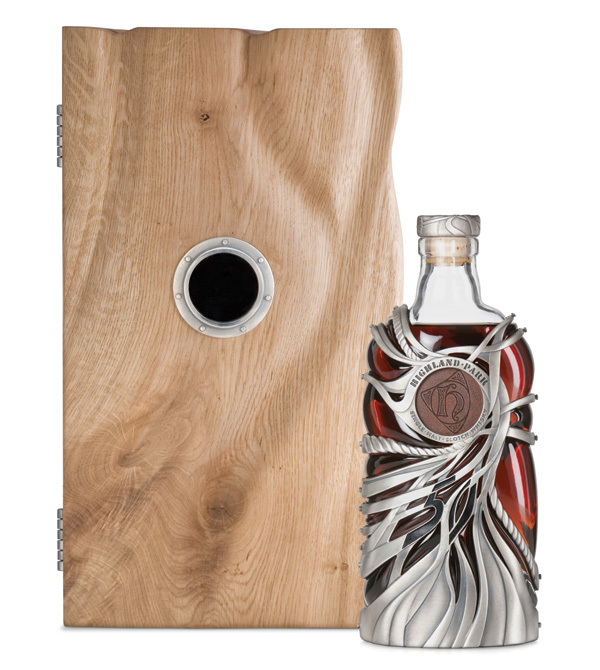 Apparently it is also holding the oldest ever island single malt ~ and hand-crafted ornate bottle is designed by Scottish Jewelry designer, Maeve Gillies, who was inspired by the elemental forces of Orkney ~ from the seas, island life, wild elements, and natural light. 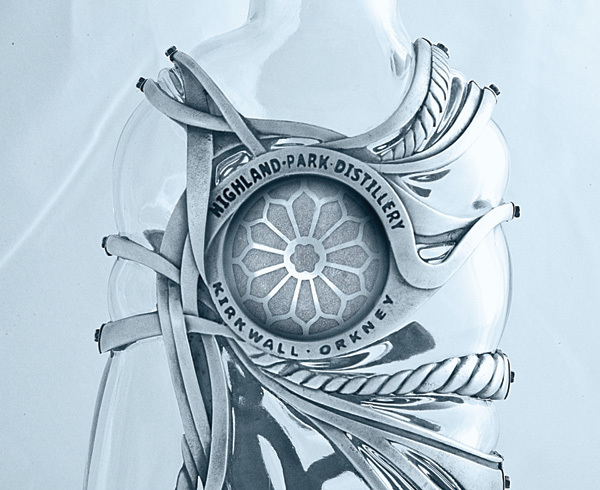 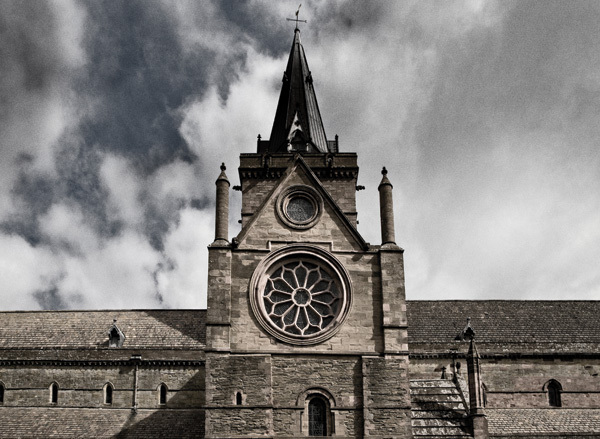 Perhaps the loveliest little secret hidden within this bottle ~ “In recognition of the famous St Magnus Cathedral and its medieval beauty, the front of each bottle features a single piece of circular Orkney sandstone into which is hand-carved the Highland Park amulette. 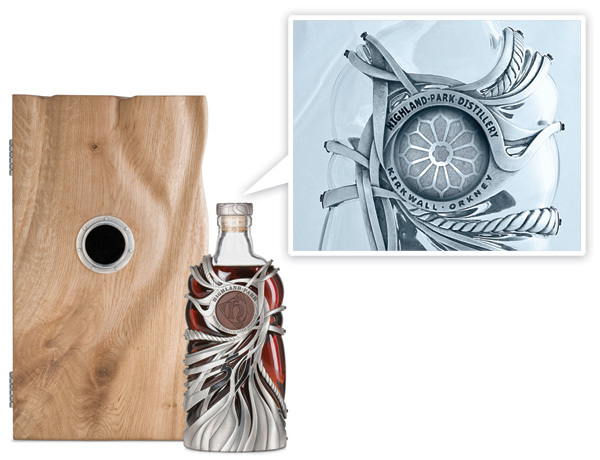 Inside the bottle, behind this sandstone, lies a Sterling silver replica of the St Magnus rose window which is revealed over time as the whisky is enjoyed.” It really was such a tease at the event, when they would show you the bottle, and hint at the replica of the rose window you can’t quite see behind… And as lovely as the bottle, is the hand carved Scottish oak box as well ~ love the porthole you can peer through to see the bottle… Take a peek at closeups on the next page ~ the 275 bottles are a Harrods exclusive till the end of Oct.
And here’s a cell phone pic from the party ~ tasting the 50yo, which was truly delicious.